Enter to win $100 from Ebates! This week I’ll be spending my days with three energetic children, a baby and their (probably super tired) parents. With Spring Break upon us and Summer vacation right around the corner, I decided that another round of travel with kids was not only appropriate, but necessary. 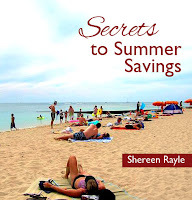 My best friend – whom I will be spending said week with – is great at saving money and taking family on trips throughout the year, which should be inspirational to those that don’t have three or four children. When I hear people say they don’t have the money to travel, it makes me sad, because I know that with some planning and research, they could find it in their budget. Their children (and they) are missing out on all that travel has to offer. It doesn’t have to cost a fortune. You just need to know how to do it. Use your zoo membership. Almost every family I know has invested in a zoo membership, because for one price, they can go to the zoo and aquarium all year long. This helps when money is tight and they have to get out of the house, and I don’t know any kid that doesn’t love fish and other animals. If you have a membership, you can use it to visit other zoos and aquariums across the country and, in some cases, in other parts of the world. It can be fun for kids to feel like the day is totally about them and they can learn about new animals in different parts of the world that your zoo might not have. See the zoos that participate by going to AZA.org. Shop the farmer’s market. If you can find an open farmer’s market where you are traveling, you can spend some time finding new and unusual foods, interacting with locals and then you can buy a nice selection of foods for lunch and find a spot in a local green space to enjoy your new fare and the fresh air. If a farmer’s market isn’t available, it’s likely you can seek out street carts with local cuisine. You’ll save money by not paying sit-down meal prices and tipping isn’t required. Don’t forget your reusable shoppers from home, because they are green and convenient for more than just groceries. This set from Blue Avocado is brilliant! Dine at food carts. Kids seem to have endless energy and don’t always like to sit still for very long. They can also be picky eaters. Food carts are perfect for family meals, because usually where there is one, there is many, meaning you can find a variety of foods in one area. Food carts are much cheaper than traditional sit-down dining and you can eat on-the-go or find a nice park to enjoy your dishes in…and then kids can burn off their energy by running around and playing for a bit. Bring your own sets of reusable utensils and be ready for anything…and save some plastic from the landfills. I love the bamboo ones from To-Go Ware. Visit developing countries. I think this is one of the best tips for everyone, not just those with families, because developing countries have lower economies and come with super affordable price tags for your entire vacation. You don’t have to cut costs if you don’t want to, because accommodations, dining and entertainment are all so much cheaper than at home. You’re also helping a country that depends on tourism to survive and finding an entirely new vacation experience. Countries like Ecuador, Belize and Peru are great examples, and if you want to go further, India or Morocco can be budget-friendly destinations, too. These trips can be a total immersion for you and your family. This is a nice option if you have kids who like to try new things and meet people. Learn Spanish with Nintendo’s My Spanish Coach for your DS (or French, Japanese, Chinese or English). It’s the perfect way for kids to build their language skills while also having fun. It’s great for adults, too. Bring snacks and games. While this may not save you much money, unless your children are always complaining that they’re hungry, it can keep them entertained between activities. If you’re waiting in line or taking a break from walking, having a small snack you can dig out of your day bag or a game to play for a few minutes can alleviate boredom and keep kids happy when nothing’s going on. I find that games are a fantastic way to pass time on the airplane and snacks can save you money on the airline food menu. Have smarty-pants toddlers or kids over 5? Try Fluxx card game. It’s the game of ever-changing rules that is fun for hours, even if games last just 10-30 minutes. You might also like Zigity. It’s a fantastic game from the makers of Cranium that asks players to spell, add, complete a picture and match objects. The cards are plastic coated, so they are pretty much child-proof. Spills and spit wipe right off! Pack light. I know that with kids it’s hard to do this, but it’s not impossible. Each of your children can bring their own carry-on for the plane and help spread around the weight. Whether it’s a small rolling bag that can fit under the seat or a backpack they can wear, they can share the load. While their clothes can be fairly lightweight, everything they want to take from home may not be. Pack as much of their clothes as you can in your own carry-on (Spacebags or Pack-It cubes may help) and then have them carry any spillover and a few things from home in their own bag. This might be some small toys, a coloring book and some snacks. Anything that will make traveling less of a chore and keep the whining at bay. If there is more than one adult in your party, this may be done more easily, and you will have everything with you when you land, saving you checked baggage fees and time waiting for your bags on the carrousel. Check out the Trunki ride-on carry-on from Melissa and Doug. It’s fun and functional, plus you can accessorize it, giving your kids another activity to do when waiting around and getting border and border. I want one for ME. These are just some of the ways to travel with kids and save both some sanity and money. Remember, kids are usually happy to check out new places, because they are new and exciting. Make sure they get to eat and sleep as they regularly would at home and you will be able to minimize any complete meltdowns that are bubbling under the surface. Think of how cranky you get when you are hungry or tired. You would probably cry, too, if it was socially acceptable to do so on a crowded subway train. 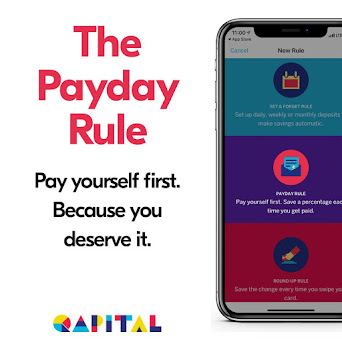 Get more tips! 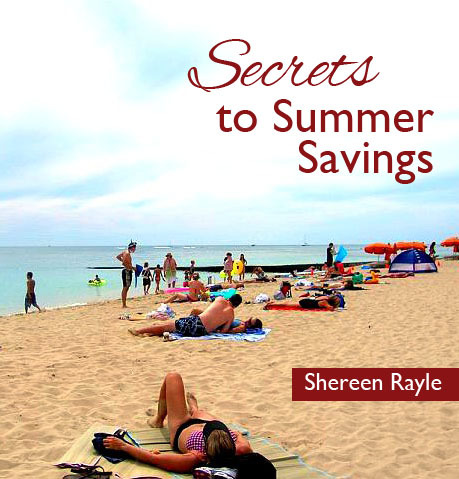 Purchase my Secrets to Summer Savings Ebook for $2.99. Love the idea to shop the farmers' markets!